Are you searching for a comprehensive and trustworthy team of fully qualified auto technicians to conduct outstanding and exceptional servicing on your vehicle? Drawing on our unmatched level of experience and knowledge of the inner workings of all types of vehicles the team at PMA Auto Works know how to keep your car running without any hiccups. Thanks to our dedicated and all-inclusive car logbook service Melbourne motorists can trust us to ensure the safety and reliability of their car on Australian roads. Since first opening 15 years ago PMA Auto Works has been a fully-licensed and accredited log book servicing workshop. Specialising in servicing European vehicles our technicians use high quality and authentic parts when required to car repairs to the manufacturer’s specifications. By selecting PMA Auto to conduct the log book service of your car you will be ensuring the value of your car by keeping an up-to-date record of your car’s regular service history. Thanks to your keen insight and thorough examination of the integral components of your vehicle we can ensure that your car does not harm you or others on the roads due to critical failures. Is your car not performing like it used to? 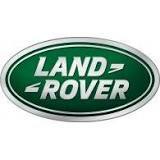 Are you wanting to resell your car in the future and get the best price available? Thanks to our detailed and thorough vehicle log book servicing solutions the skilled and qualified team at PMA Auto Works have the knowledge to guarantee that your car is in the best possible condition when it leaves our workshop. By using the most reputable replacement parts and components our commitment to quality translates into the best care and attention for your car. 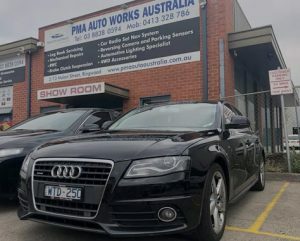 For an honest car service, Melbourne mechanics can turn to PMA Auto Works. Call (03) 8838 0594 to have your vehicle examined in the manufacturer intended way and protect your warranty.